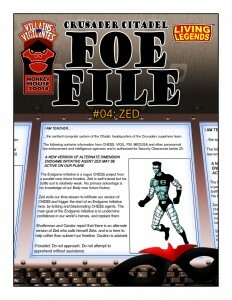 NEW: Foe File #4, Zed! 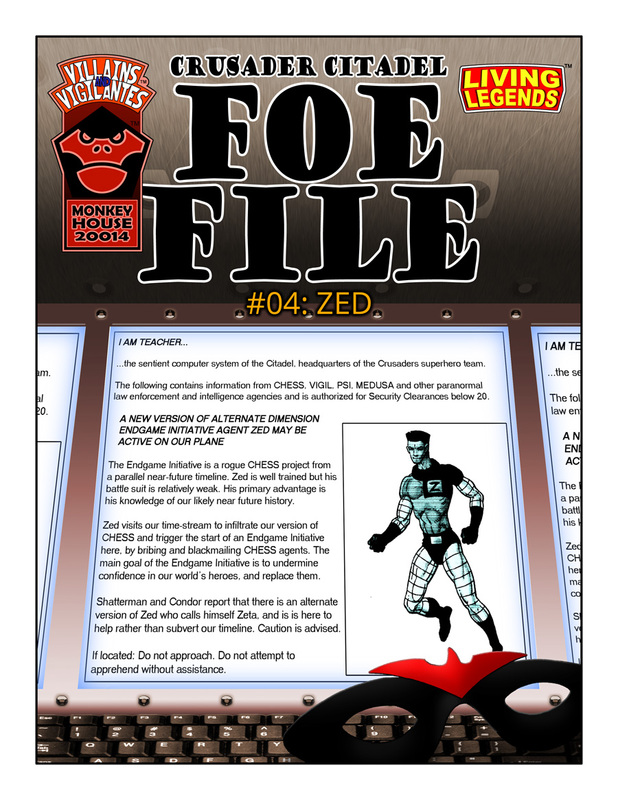 Zed is a fanatical agent of the Endgame Initiative – a corrupt rogue CHESS project from an alternate near-future timeline which parallels our own. He first travelled to our time-stream to infiltrate our dimension’s version of CHESS, in an attempt to trigger the start of the Endgame Initiative here. There are reports of an alternate version of Zed who calls himself Zeta, and is here to help rather than subvert our timeline. Caution is advised!